WITNESS is participating at RightsCon 2018, one of the world’s leading conferences on human rights in the digital age. WITNESS will lead and participate in multiple sessions of the event. WITNESS is proud to be participating at RightsCon again this year! RightsCon is one the world’s leading conference on human rights in the digital age bringing together business leaders, policy makers, general counsels, government representatives, technologists, and human rights defenders from around the world to tackle pressing issues at the intersection of human rights and digital technology. The summit will take place from Wednesday, May 16 to Friday, May 18, 2018, at the Beanfield Centre at Exhibition Place in Toronto, Ontario, Canada. RightsCon focuses on the intersection of tech and human rights—right where WITNESS lives. 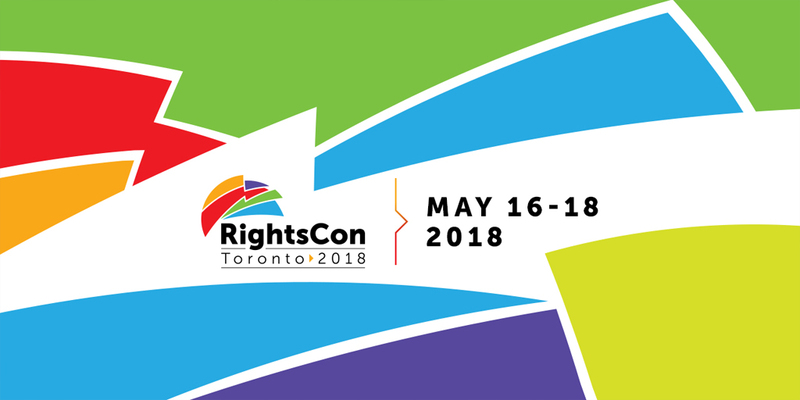 This year, Rights Con will explore pressing issues including innovation policy in Canada, free expression and protection of global journalism, gender diversity and digital inclusion, encryption and cybersecurity, and many other topics relevant to keeping the internet free, open, and secure worldwide. Join us as we lead and participate in some of the featured panels this year. In response to increased global attention and advocacy around the right to record in public spaces, this panel will explore the legal basis for the right to record. We will also discuss the ethics of using and sharing perpetrator video and propaganda, and how companies handle this material. In response the trauma and burnout that are common in human rights movements and organizations around the world, we will introduce and then invite you to participate in a beginning conversation to share barriers, learnings, and solutions among human rights practitioners aimed to help us as a community create and promote sustainable practices. With participation from Joseph Steele, Operations Director, Access; Donna McKay, Executive Director, Physicians for Human Rights, Meg Satterthwaite, Faculty Director and Co-Chair, Center for Human Rights and Justice, NYU. Today, technology companies are increasingly coming under fire for concerns related to privacy, censorship, and freedom of expression, and distrust and uncertainty. In this workshop, company representatives, advocates, and activists will discuss the process of technology advocacy – how it works, case studies on successes and failures, and critiques. The coming storm of realistically faked audio and video presents an existential threat to declining public trust, as well as trustworthy human rights documentation. In this session, we will explore this potential threat, and consider how technologists, journalists, and human rights fact-finders can come together to find solutions to combat the repercussions of fake audio and video future. In this panel organized by Amnesty International, our Tech+Advocacy Program Manager Dia Kayyali will talk about what happens when social media platforms get so efficient at removing content that the human rights community does not even know the content existed before it disappears. The panel will ask who the takedowns are protecting and why, the problems around trusting publicly listed corporations, the challenges for activist groups who need to let the world know about the abuses they’re suffering, the ramifications for such takedowns and, crucially, what solutions may be possible to balance out the pressure on social media networks to comply with local legislation with the need for survivors to share stories of human rights abuses. Dia will join Article 19, Grindr, and an incredible group of human rights defenders to talk about how civil society, activists, and companies can partner to improve digital security for the LGBTQIA+ community- in a realistic way that meets the community where it’s at. The panel will use a specific partnership on improving security on dating apps, including how the work continues to move forward and how different partners contributed and collaborated, as an example. In this panel, organized by Astraea, Dia Kayyali will join activists on the front lines of trans organizing in an often overlooked region to discuss the state of communications, digital activism, surveillance and access to technology in Eastern Europe and Central Asia, with a spotlight on trans activists’ digital organizing needs, realities and resistance strategies. For more information about tickets, times and schedule, click here.